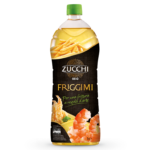 Creativity and street food, a perfect combination, like the pairing of Organic Friggimi oil and crisp, tasty frying. Irresistible. Peel and mash the boiled potatoes, add the chopped salmon and mix thoroughly, flavouring with salt, pepper and herbs. 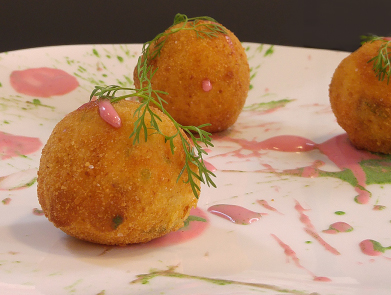 Form this mixture into croquettes of the preferred shape and coat them by dipping first in the flour, then in a beaten egg and finally in the breadcrumbs. Make the mayonnaise by combining all the ingredients, apart from the purées, and blending with a stab blender. Divide the mayonnaise into three parts and colour two parts of it with the purées. 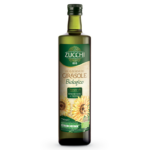 Fry the croquettes in hot Zucchi organic “Friggimi” oil: remove from the oil and drain on a sheet of kitchen roll, add salt and serve with the mayonnaises to taste. 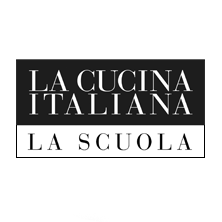 The first cooking school in Milan from the popular cooking magazine.